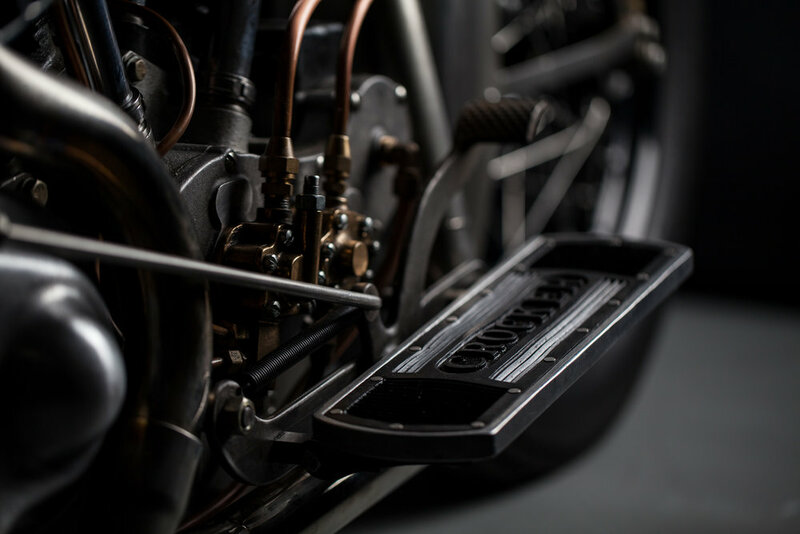 Home — Crocker Motorcycle CO. 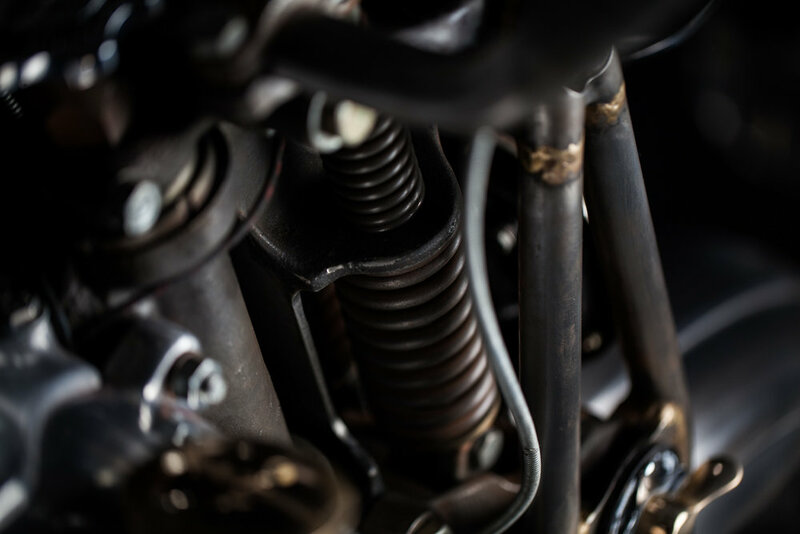 The Crocker Motorcycle Company is an American motorcycle manufacturer based in Los Angeles, California, and one of only three authentic original vintage American motorcycle pre-war brands remaining today. Steeped in racing history and influenced by Thor and Indian Motorcycle, CROCKER was considered the FASTEST production machine of its era. Crocker first produced single-cylinder speedway racing motorcycles from 1932, powerful V-twin road motorcycles from 1936, and the "Scootabout," one of the first modern styled motor scooters, in the late 1930s. Production ceased in 1942 due to a US Government war contract to manufacture parts for Douglas Aircraft, and continued in Aerospace until the company was purchased by Borg Warner in the 1950”s. In the early 90’s a new corporation was formed to re-manufacture these coveted machines exactly as the originals. 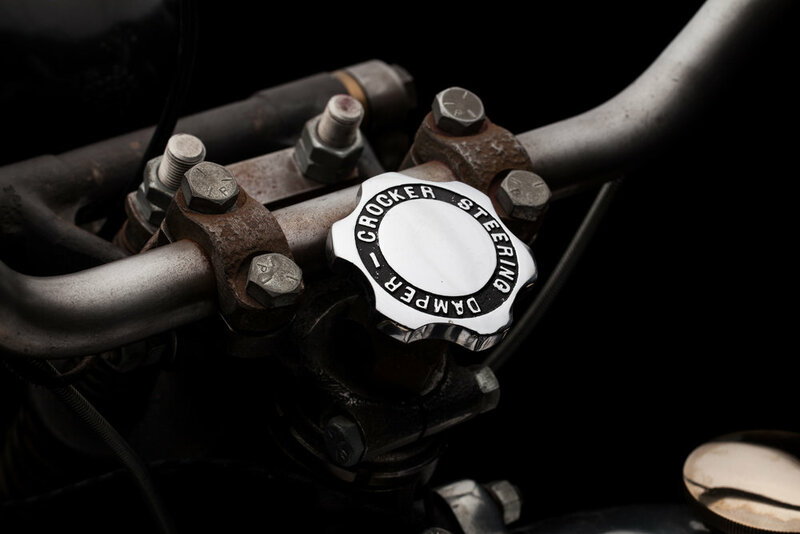 CROCKER MOTORCYCLE now produces complete “continued production” original “Big” and “Small Tank” Crocker’s following the original specifications to an exactness indistinguishable from their original legendary bikes. Sand cast, hand machined, and made in California, Crocker parts are OEM and widely used in concourse restorations. Girder style with dual inner and outer front springs, rigid rear. 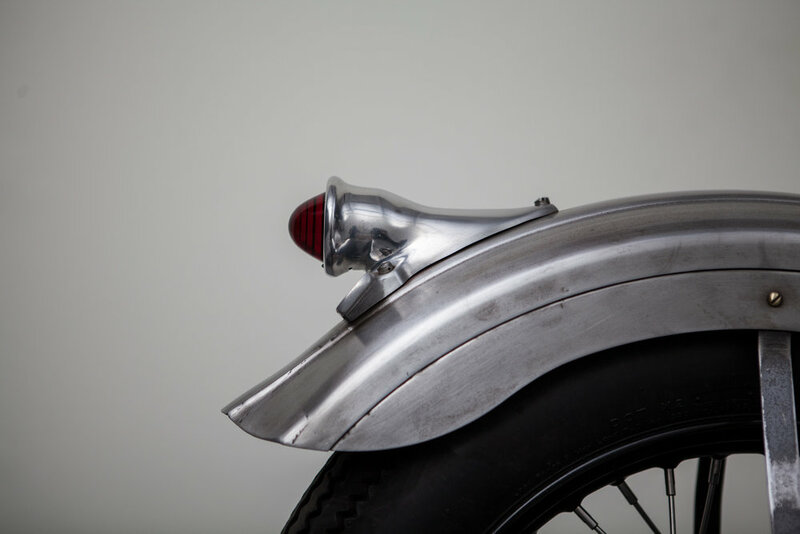 "Art of the Motorcycle Exhibit"